The search for the next superintendent of the Olentangy Local Schools has been narrowed down to three candidates. • Keith M. Bell Sr., superintendent of Euclid City Schools since 2012. His prior experience includes positions as deputy superintendent at Columbus City Schools; and principal at Westerville South and Groveport Madison high schools. He was educated at Defiance College, Bowling Green State University and Ohio State University. • Scot Thomas Prebles, superintendent of Brecksville-Broadview Heights City School District since 2010. His prior experience includes positions as superintendent at Granville Exempted Village School District; and principal at Thomas Worthington and Wilmington high schools. He was educated at Miami University and has a superintendent license. 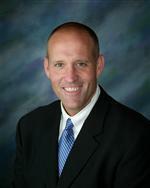 • Mark T. Raiff, chief academic officer of the Olentangy Local Schools since 2011. His prior experience includes positions as principal at Olentangy and Westerville Central high schools; and executive president of the Ohio Capital Athletic Conference. He was educated at Case Western Reserve University, John Carroll University and Cleveland State University. “They (the Olentangy Board of Education) interviewed six candidates in one interview, and they’ll be having second interviews with candidates on the 17th,” said Cheryl Ryan, deputy director of school board services for the Ohio School Boards Association. The association is assisting with the superintendent search, but the Olentangy board will make the hire. Ryan said the meeting on the 17th, like the prior candidate interviews, will be done in executive session, meaning they are closed to the public. After the second interviews, the candidates will also be meeting that same evening with a group of invited school committee representatives, administrators and community leaders, she said. “It’s likely that the board will make a choice following their meeting on the 17th,” Ryan said. The new superintendent will replace Wade Lucas, who will retire at the end of August. Depending on the start date, the new superintendent is expected to work together with Lucas for an interim period.